At long last Madonna is able to proceed with her fundraising for her fourth child Lara May. Lara desperately needs a proper chair so that she can participate in normal family ativities around the home (i.e. joining the remainder of the family for a meal – something we all take for granted). Just follow the prompts and on 1/11/10 you will access to some of the best tutorials ever. 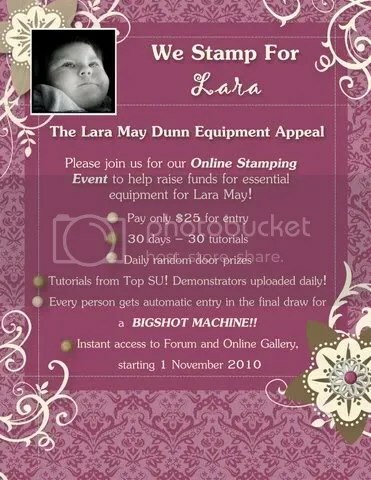 Thank you for supporting this very worthy cause and make Lara’s (and Madonna’s) life just that little bit easier.